Photo: "Infantryman Statue" at "Parade Rest !" Caption: "Infantryman Statue" at "Parade Rest !" 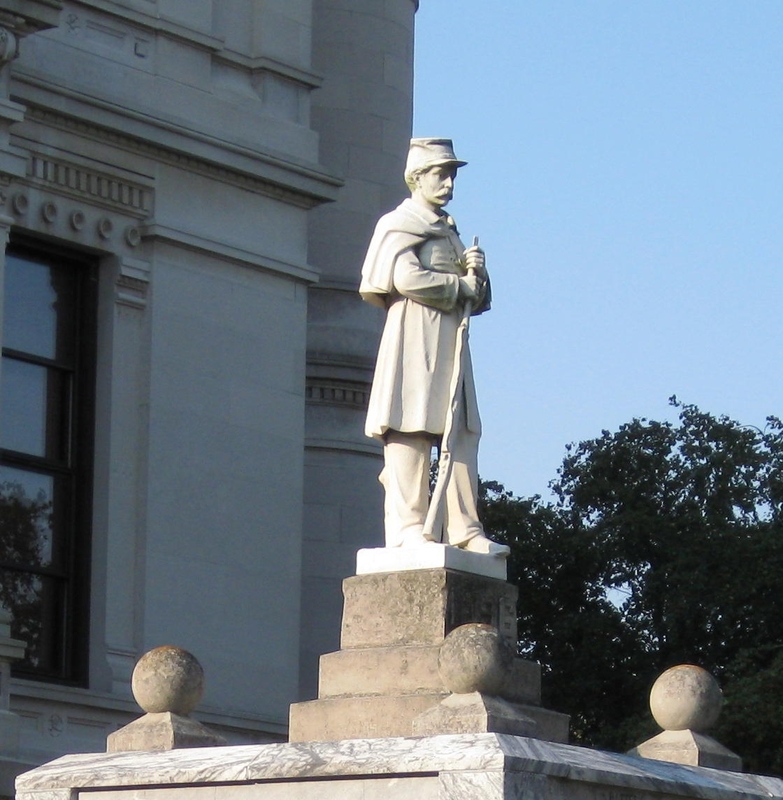 Additional Description: This 1896 Statue was crafted in Italy to honor all Whitley County Civil War soldiers. The G.A.R. (Grand Army of the Republic) of Whitley County special ordered it to be the cap-stone of their Civil War Memorial. Submitted: November 2, 2008, by Al Wolf of Veedersburg, Indiana.